Morningside Stud is an Irish stud farm located in scenic East Clare near the shores of Lough Derg, a beautiful lake that is part of the Shannon River. Our mission is to breed highly athletic horses for international showjumping and eventing. We invite you to browse through our homepage and learn about our stallions, mares, competition horses and youngsters. 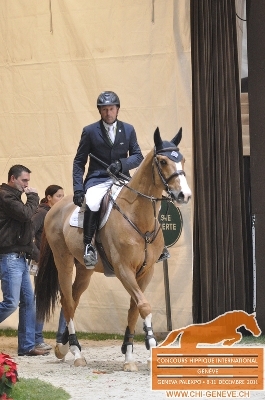 photo: Wang Chung m2s and Eric Lamaze at 2011 CSI5*-W Geneva. In 2013 Wang Chung m2s was the #1-ranked Irish-bred international showjumping stallion in the FEI rankings. Copyright 1999 - 2016 by Morningside Stud. All rights reserved.